I have come across many projects claiming to be Agile, however they are really doing nothing more than mini-waterfalls. They do the Requirements, design, coding and Testing incrementally and in a bi-weekly fashion. If you carefully observe, still testing is done during the last days of sprint/iteration. What is not Agile Testing ? Testing within Sprints in projects following Agile methods is not Agile testing. Developers have to do their own set of testing for “building the quality in” as per lean. However, the developer testing is not a replacement of traditional practice of testing. It is disheartening to note that, many people give a little or no value to the testing in Agile projects. According to me, Agile testing is important as a practice as Scrum Meeting or retrospective. There are still some myths around Agile testing. 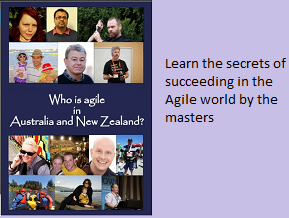 * It is a myth that in Agile projects all the testing would be done by developers. 1. Testers are no more reactive, they are proactive. 3. Testers participate in all the activities of software development, right from Requirement analysis to design, architecture and till the end. 4. Testers play the role of Generalized Specialists taking one or two additional responsibilities apart from testing. With so many additional factors involved in Agile testing, is it really possible for traditional testers to switch gears quickly to accommodate the new changes ? Answer is “NO”. It takes its own time and in the sense, it could take sometimes months. The rate of change depends on the support given by the management to the testing team. More the support, smoother and quicker would be the change. 4. Eagerness to learn new technologies and framework to become generalized specialists. In Summary: Agile testing is all about change in mindset and focus on building the quality in the products.